Sonic Mania is a celebration, a digitised block party of blistering speeds and bright worlds. Sega’s decision to hand their famous mascot over to fan creators and artists has paid massive dividends, creating a game that is not just a welcome return to form but a raucous, delightful experience. Much of Sonic Mania’s success is owed to the many fans turned designers attached the project. In seeking to produce the best retro remix possible, Sega recruited well-known modders and hackers. 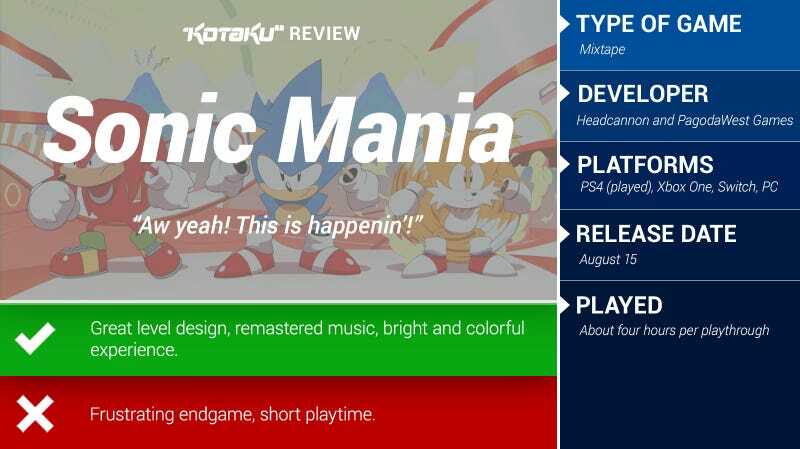 Christian Whitehead, known for porting Sonic games like Sonic CD to new platforms and Simon Thomley, a modder who worked on the topsy-turvy ROM hack Sonic Megamix, worked on the project, and their enthusiasm is clear. Level designer Jared Kasl’s work is arguably the most noteworthy. There is extreme care built into every loop, spring pad, and corkscrew. The disparate pieces all mesh into remarkable experiences. A remake of Sonic 3 and Knuckles’ Lava Reef zone gleefully takes the original level and stitches it together with enemies from both Sonic 2’s Hilltop Zone and Mystic Cave Zone while adding the dangerous traps of Sonic the Hedgehog’s Marble Garden Zone. Long-time fans will undoubtedly be pleased with these mixes, while newcomers will enjoy some of the best elements from the series’ highest moments. All of this is further boosted by a bouncy soundtrack that takes famous tunes and adds bolder baselines and powerful percussive embellishments. Sonic the Hedgehog has always walked a fine line between dazzling speed and tricky platforming. It’s hard to remember the last time Sonic felt so fast, but this momentum occasionally comes at the expense of player control. 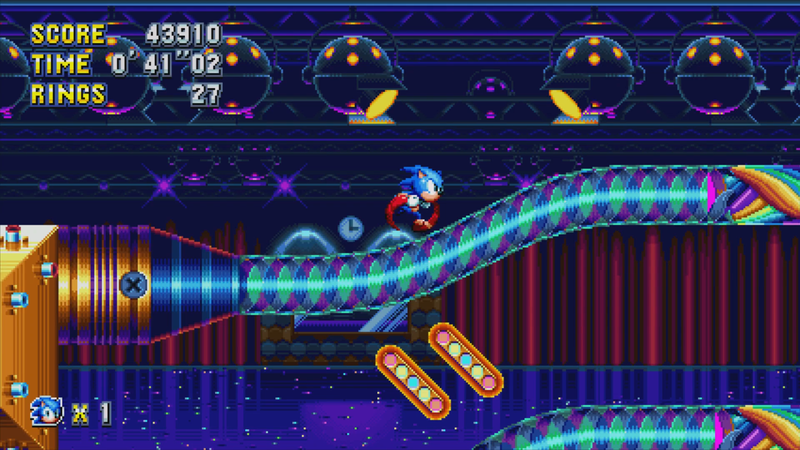 The game automatically guides Sonic through winding tunnels and roller coaster turns. The sacrifice in control is arguably necessary; in the times when players are in full control, the levels’ twisting paths shift and change so much that players might find themselves accidentally skidding to a stop as they round a turn pushing the wrong direction from where Sonic is now facing. These problems have been endemic to Sonic’s design from the series’ inception, and while Mania often outruns them, they still occasionally pop up to interrupt the fun. ‘Far more successful are the boss fights, which create new complications throughout the game. Mania drops Sonic 2’s final boss at the end of the first level. 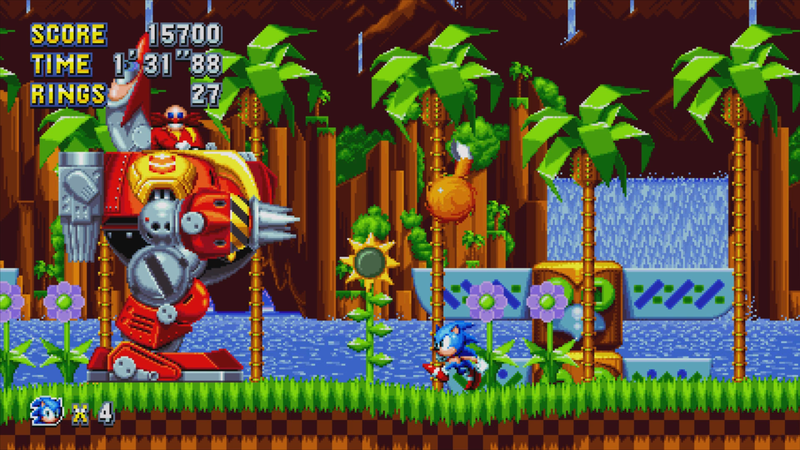 There is also a remixed version of Sonic CD’s chase sequence against Metal Sonic, a battle against a horde of miniaturised versions of Robotnik’s previous inventions, and an extended boss fight in which players must defeat the Doctor in a match of Dr. Robotnik’s Mean Bean Machine. These fights are exciting and consistently enjoyable, often surpassing the game’s levels in sheer mischief.